This store window display is great for displaying 11" wide by 14" high literature back to back on glass doors, or in windows. 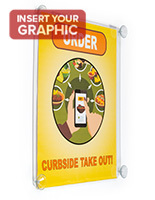 This suction cup poster holder is double-sided so customers can see your message while passing or coming in and they can see a different message when leaving. This store window display has a pocket design for quick sign changes. Advertisers need to pull back on the front panel and insert the image. 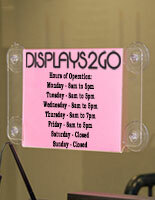 The acrylic exterior of the store window display is durable to stand up against the test of time. 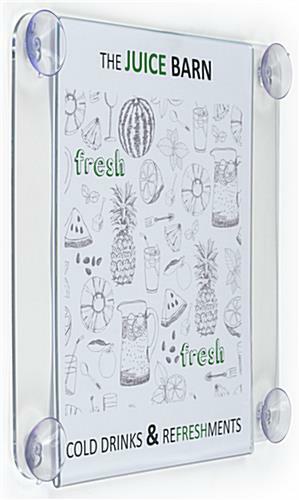 The transparent coloring of the holder makes sure all of the focus remains on the advertisements. 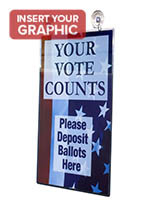 This store window display can hold posters securely in place and are easily inserted from the top or sides. 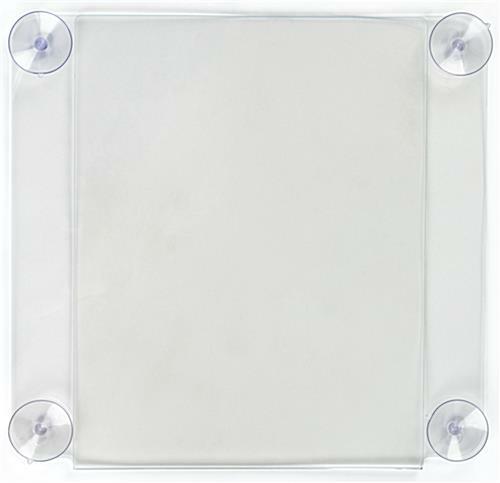 Users can mount this holder in both portrait and landscape orientations. 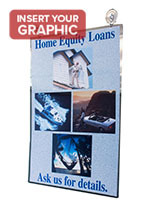 This store window display is used for advertising an event, sale or grand opening banner. 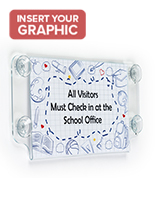 This suction cup poster holder will stick to any non-porous surface, such as a window, mirror, or even tile! 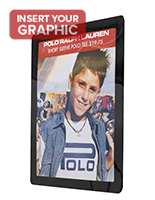 The store window display is lightweight and portable, so you can change its position as you see fit. 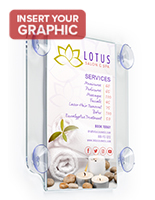 Four suction cups are attached to a plastic base that is designed to hold the poster securely. 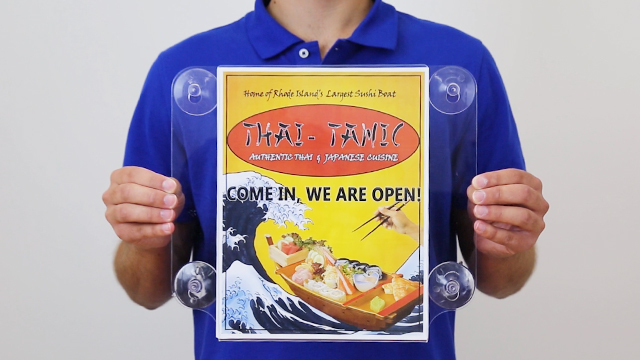 This store window display or suction cup signage, is easy to attach to surfaces. 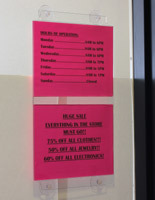 A simple press adheres the signage to the desired area. This highly functional store window display is an inexpensive, practical advertising tool and the ideal solution to getting your message across! We're glad we were able to make your life easier, Corinna! Thanks for shopping with us.